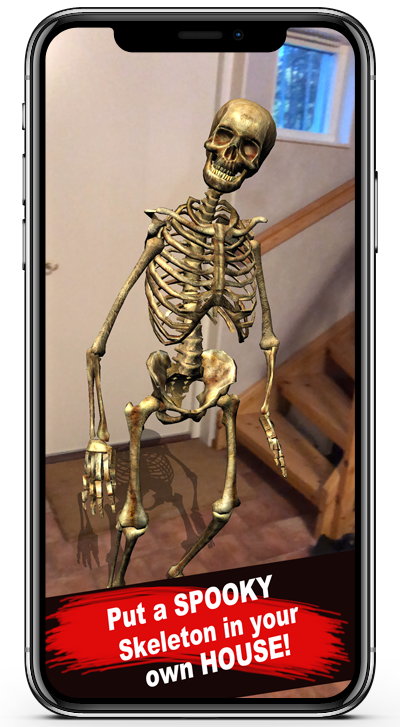 With this incredible app you will be able to put a skeleton in a real environment! Just look around with your device, and tap on screen. In front of you is a scary skeleton! SkeltonHolo is an AR app available for iPhone and iPad. If you like skeletons and want to take photos and videos of your “live” skeleton, this is the app for you! Download SkeletonHolo from the App Store and try it out for FREE!